This campaign ended on January 01, 2019, but you can still make a gift to Colorado School of Mines by clicking here! Support the Mines Thin Section Lab! Geoscience is core to the Colorado School of Mines education and having state-of-the-art technology serves to enhance student learning. The Thin Section Lab, found in Berthoud Hall on campus, needs your support to ensure that our students have the tools they need. analyze materials and the fluids with which they've interacted. Thin Section investigation provides a more comprehensive understanding of how rocks form. 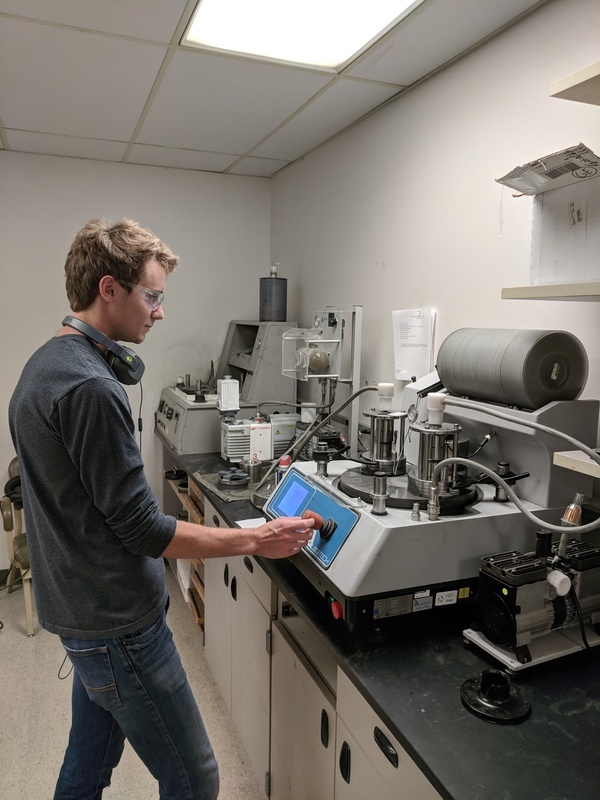 Thanks to our donors last year, we were able to purchase a new lapping machine, which enable our students and faculty to utilize some of the best samples in the country. Our daily output doubled with this new piece of machinery! Though the current Thin Section Lab does amazing, nationally-recognized work, some outdated and inefficient equipment is leading to bottlenecks in production. This year, the lab is in need of new polishers so we can free up the bottleneck in production. We are currently trying to perform up to six polishing steps on a single machine, which is very inefficient and causes issues with cross-contamination. A new polisher will allow us to keep up with the increased demand for high-quality thin sections, increase the overall quality of the sections, and - with an improved final polishing step - allow our students to perform analytical techniques that they are currently unable to perform. When you make a gift to the Thin Section Lab before December 31, it will be matched 1:1 by a generous pledge from Tim Bartshe, '71 & '73, up to a collective total of $25,000.